Honeycomb’s kinda my thing, I make it and bring it to shindigs, or pop it in a takeaway box if I want to make a quick gift. It’s very easy, except for one thing, which is catching it at the right moment – after the sugar melts but before it burns. If the sugar is even an eensy teensy bit caught, the honeycomb will go right over, because as it foams upon addition of the bicarb, it gets even hotter inside, or traps the heat or something. I was at a wonderful studio warming party yesterday hosted by Renee Callahan (East London Knit). 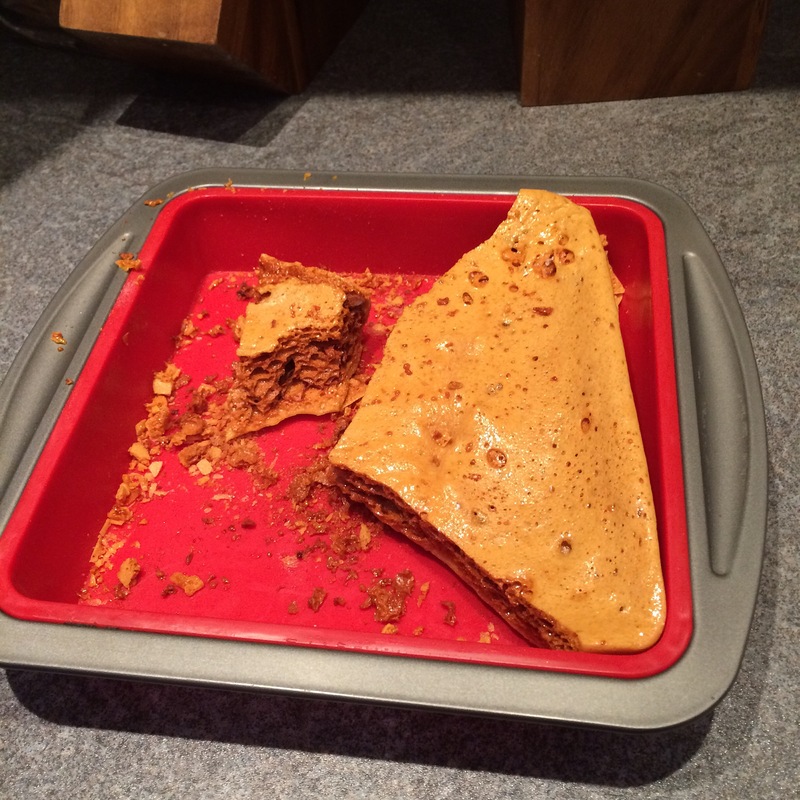 I brought some honeycomb and exclaimed how easy it was to make but failed to give any details. Hey, it wasn’t the only bubbly stuff consumed that afternoon, ‘k? 2) turn the heat down so it’s still bubbling, but more slowly. Let it completely go to liquid, it should be a lovely clear golden colour by now. 6) eat same day or maybe day after, and don’t get it wet or feed it after midnight.